Gift your loyal customers after a purchase or service. They will love it and feel appreciated! 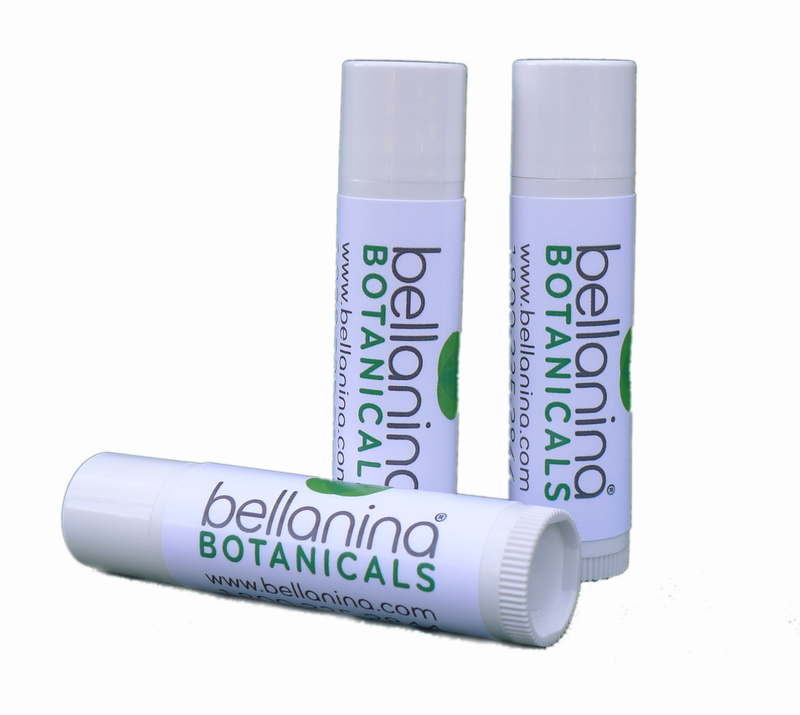 Your contact information will be conveniently available on the label of your customer’s favorite lip balm. It's better than a business card! 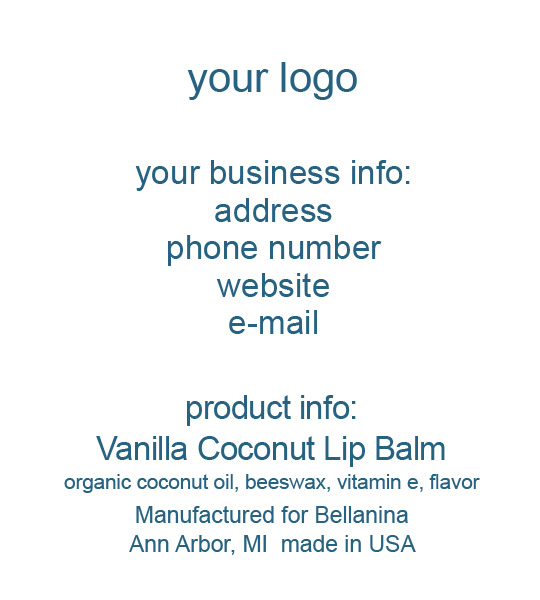 Fill out the form below and we will contact you to design, layout and print a unique, custom lip balm label using your logo and contact information. We can also work with your designer if you prefer to do your own layout. We e-mail you a PDF of your label to proof read and approve. If you don’t like something, we will change it for you. 100% Natural Vitamin Balm made from organic coconut oil and beeswax with vitamins E and C.
Cocoa Butter Mint - Natural cocoa butter and peppermint essential oil create a creamy chocolate mint flavor. Strawberry - Fruity tropical bliss for your lips. Made with natural mango butter. Vanilla Coconut - French vanilla complements the naturally creamy flavor of organic coconut oil. Chai - Subtly creamy with a hint of chai. All natural. Butter Rum - Great gift for the holidays. Lemon Vanilla - Subtly creamy with a hint of lemon. Tastes like a lemon sugar cookie. Pina Colada - Intoxicatingly tasty! Pineapple and coconut are reminiscent of a tropical paradise.